Chakras Healing in Thane & Mumbai. Future Guide. The seven chakras are energy centers in our body in which energy flows through. Chakras are centers of activity of subtle, vital force. There are seven major chakras responsible for physiological and psychological functions in our body. Chakras are like electricity and nerves are wire that carries the electricity. The chakras not materially real so they can not be describe from physichological as an organs or part. The chakras even generate the shape and behavior of the physical body. Chakras are made of symbolic patterns of our own mental and physical programming. Our past experiences have a huge impact on our chakras. Though the involvement with outside world, problem will be seen in relationship, health, finance, job, career when chakras are not functioning. 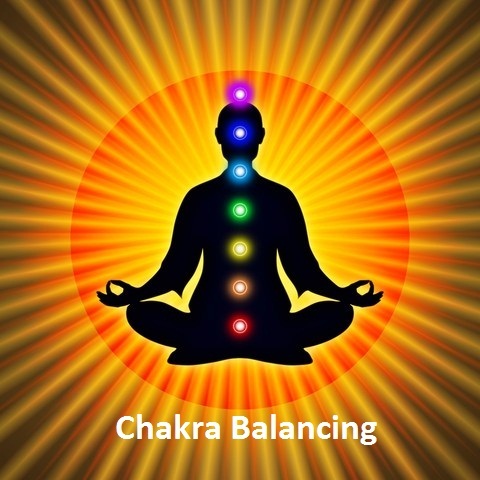 These chakras are given the portfolios and correspond various activities. The word mooldhara means root support. The rook Chakra corresponds to the coccygeal plexus of nerves. This chakra is related with the bones also. Effects : This chakra is affected by our thoughts and feelings about finance, career, communication, retirement and energy of home. Weight problem, sciatica, knee problem, skin disorder, migraine. The Sanskrit word swadhisthana means sweetness. The purpose of this chakra is to have fulfillment through sensual pleasures and nurture it. This chakra is also the centre of sexuality as well as emotions, sensations, pleasure, movements and nurturance. Location : Mid way between naval and the base of spine.. Effects : The energy of sacral chakra primarily governs the desire for physical touch irrespective of relationship. The blockage of this chakra results in destructive state of restless anxieties. Impotence, frigidity, bladder, stiff lower back. The Sanskrit word manipura means lustrous gem. This chakra is lustrous gem of our body radiates and distributes panic energy throughout the entire human network, regulating and energizing the various activities of the organ systems. Location : behind the navel, two fingers above the navel to the solar pixus. Effects : Any blockage in this chakra is rendered lifeless, vitality deficient, devoid of energy, poor health, depression, lack of motivation and commitment in life. Ulcers, diabetes, digestive disorders, stomach upset, acidity. Sanskrit word anahata means unbeaten. This chakra has relations with heart, which throbs beats and vibrations unbroken rhythm until death. This chakra is spiritual centre of love is in the middle of all seven chakras. Location : located in the spinal column on the inner wall, directly behind the centre of the chest. Effects : Any blockage in this chakra will cause apprehension, fears, doubts, negative, pessimistic, attitude, and dark approach of life and one drift away from spiritual power. Asthma, high blood pressure, heart disease, lung disease and coronary problem. Sanskrit word vishuddhi means purifier. The chakra is affected by thoughts and feelings about speaking truth to yourself and love ones. The energy of the throat chakra is manifested through the ability to communicate ones feelings and ideas to others. Location : Located at the throat, in the cervical plexus directly behind the throat pit. Effects : sore, throat, cold, cough, stammering thyroid problem, hearing problem, deafness and stiff neck. Sanskrit word ajna means to perceive or to command. This chakra takes in images through perception and also forms inner image from which we command reality and creative visualization. Location : Located between the two eyebrows, in the geometric centre of the head. Effects : Blindness eye vision, headache, nightmares. Sanskrit word sahasrara means thousand fold. The thousand fold represents the infinite awareness reaching to higher dimensions, enlightment. This is the crown of expanded awareness. This chakra has ability to receive ideas and information from divine intelligence. Location : Located near the inside of top head. Effects : Depression, confusion, boredom, apathy, inability to learn.